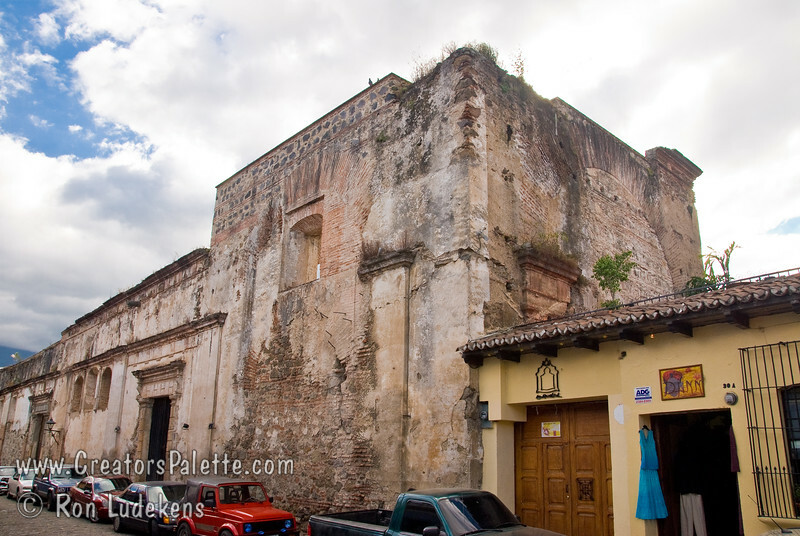 Photo taken while walking down Calle del Arco towards Templo La Merced. Antigua Guatemala. Convent of Santa Catalina Martin which is now partially restored to a hotel. Antigua Guatemala.